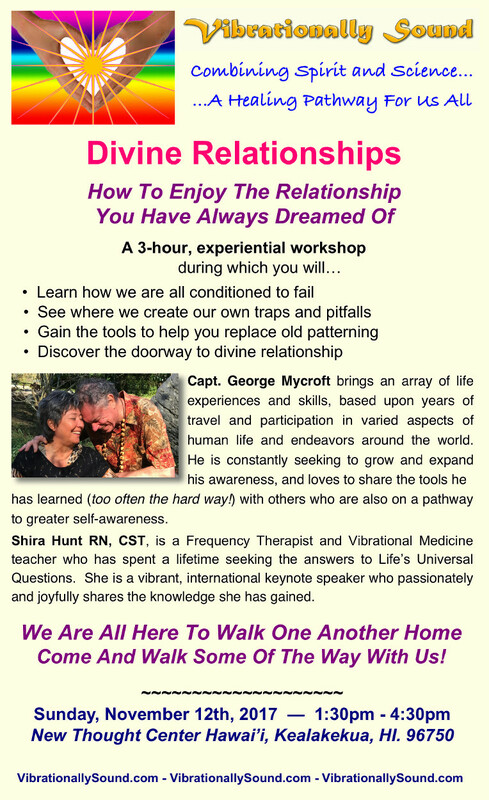 Our live, in-person Divine Relationship seminars are powerful, down-to-earth revelations about what, why and how we miss out on maintaining healthy, joyful relationships. No matter whether you are partnered or single, there is wisdom and knowledge here to challenge and improve your ways of relating – with Everyone, including Yourself. If you missed this moving, powerful event, please check back here or in our Events Calendar (in the right-hand menu, or below on mobile devices) for the next seminar. Reserve your place now and get ready for a truly life-altering experience!